So helpful! Thank you for making this. I know this isn't where world map is but I saw you were respectively active here. 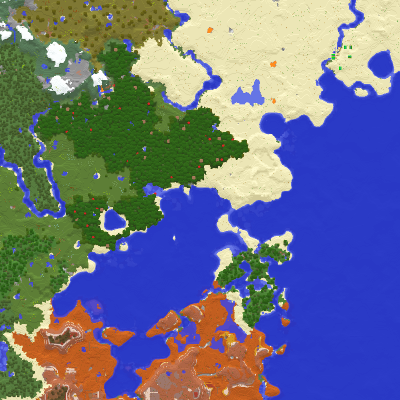 Do you know an eta on 1.13.2 with this mod and your world map? Much appreciated! Started working on it today. Will take longer than usual because both Minecraft and Forge have changed a lot since 1.12. I'm afraid I can't give an ETA just yet. Easily the best minimap for minecraft. Simple, Easy to use with all the features you want in a map! Great work! This mod doesn't store any map files. It's unnecessary for a standalone minimap mod. As for my world map mod, which "cooperates" with this mod, it stores the map files in config/XaeroWorldMap. Rift is (mostly) dead, Forge isn't for 1.13 yet. Not really possible. Rift isn't dead. They just don't have a stable version for 1.13.2 yet. I also think they're rebranding as there was another mod by the name Rift. Hey I love the mod and was just wondering if there was a way for me to make it so that people can teleport to their waypoints without having cheats enabled? We have it on our server so I figured i would inquire! Thanks for the awesome work! The players need to have permission for the /tp command. If the command for teleporting is /tppos, they should also change the "Teleport Command" option in the mod settings. I am unable to get into the mod settings. When I go to the minimap in the mod selection it states i don't have a mcmod file and i should ask for one. Or should I be looking through my server files for the mod settings. Press Y ingame to open the settings.